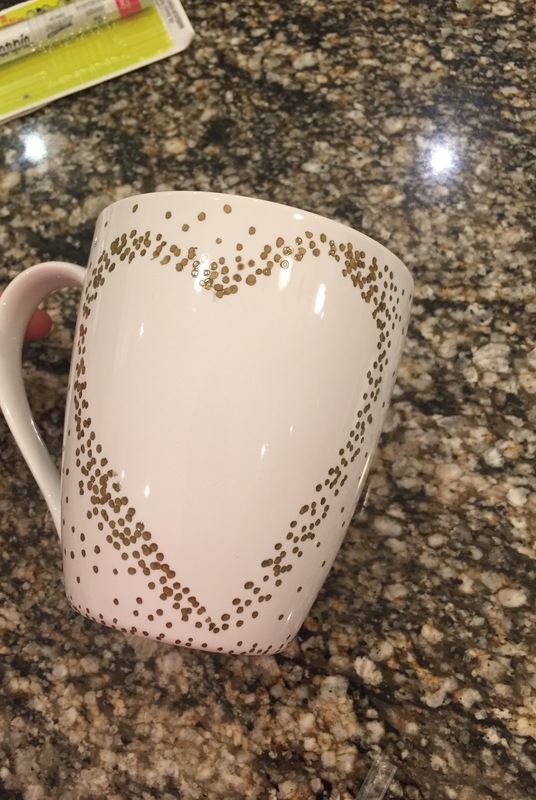 When I say images of all these beautiful DIY mugs and dishes on Pinterest I just had to put it to the test myself! I love that you can get as creative and personal as you want with these. Oh and did I mention, I made each of these for under $5.00 each! I decided to recreate a few mugs and a catch-all dish that I had seen online using oil-based Sharpies. 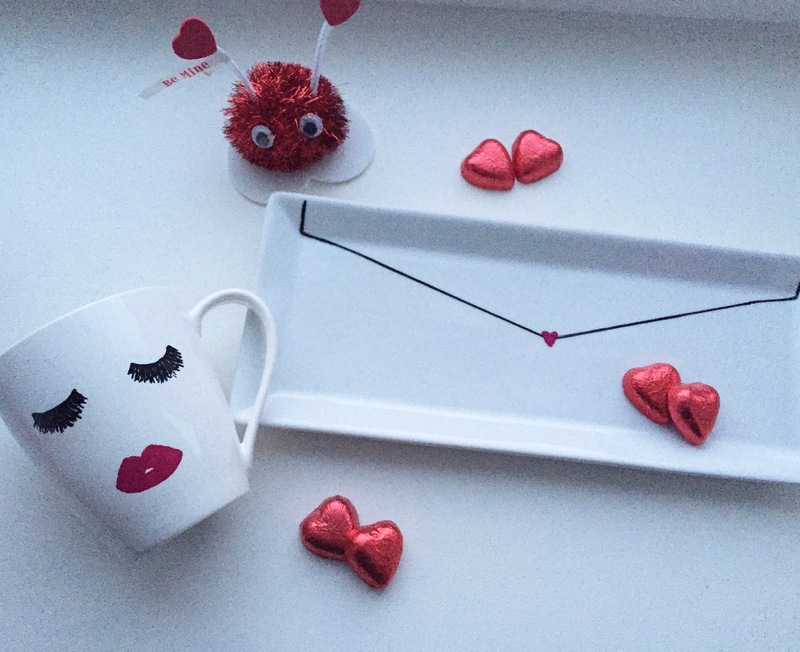 The designs I opted for just so happened to tie in perfectly with it being Valentine’s Day! 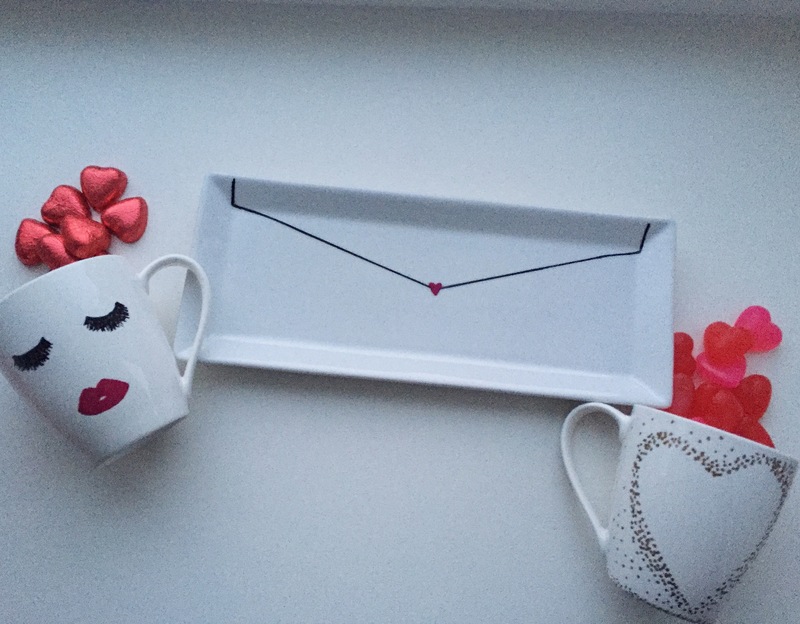 I wanted to draw my designs on bright white mugs and dishes so I went searching for just that. 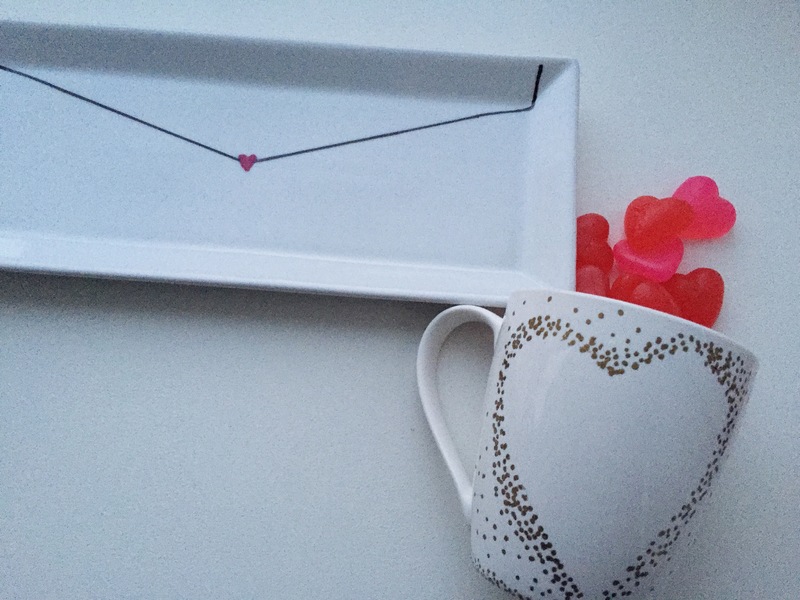 I found both the mug and tray for under $3.00 each at Dollarama! BE SURE to by oil-based Sharpies otherwise your design will wash off in water. These are a little more expensive than your regular Sharpie but I bought mine from Michaels with a 40% off coupon so they came to around $3.00 each! The good thing about these is that one marker will last you through quite a lot of designs so paying that amount upfront isn’t so bad in the long run! 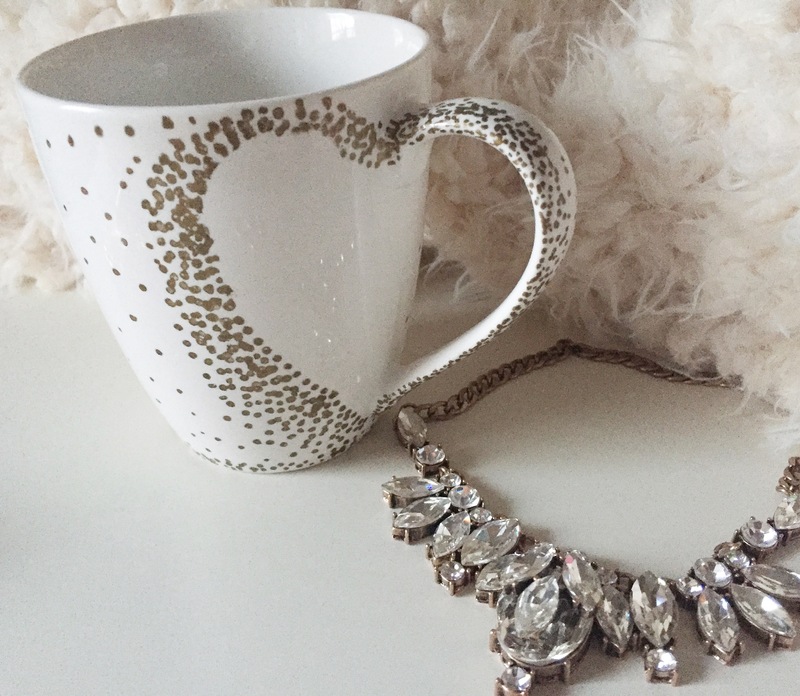 Allow your designs to dry overnight. This will ensure that your paint is completely dry! Stick them in a cold oven (this step is really important!) Let them heat up with the oven that you will put at 300 degrees. Once they are cooled entirely, place them back in the oven and repeat step 2 and 3. After 20 minutes turn off the oven and allow them to cool in there entirely. You can spray your designs with a sealant when you’re done if you’d like, I opted out of this and they have been just fine. I hand wash my items only with soap and water. 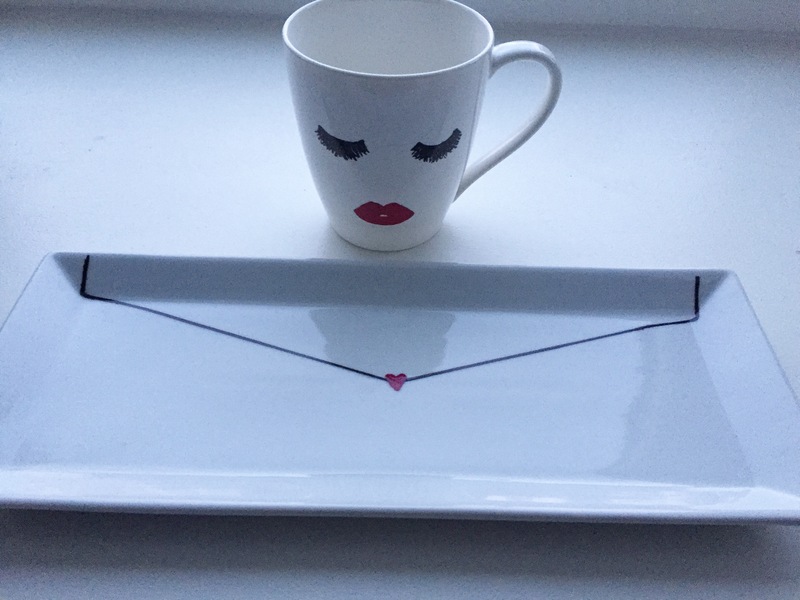 Tip: Place your mugs or trays on a cookie sheet so that you don’t actually touch the paint and ruin it (I did this the first time, woops!) Once it starts to heat up it will be susceptible to smudging. 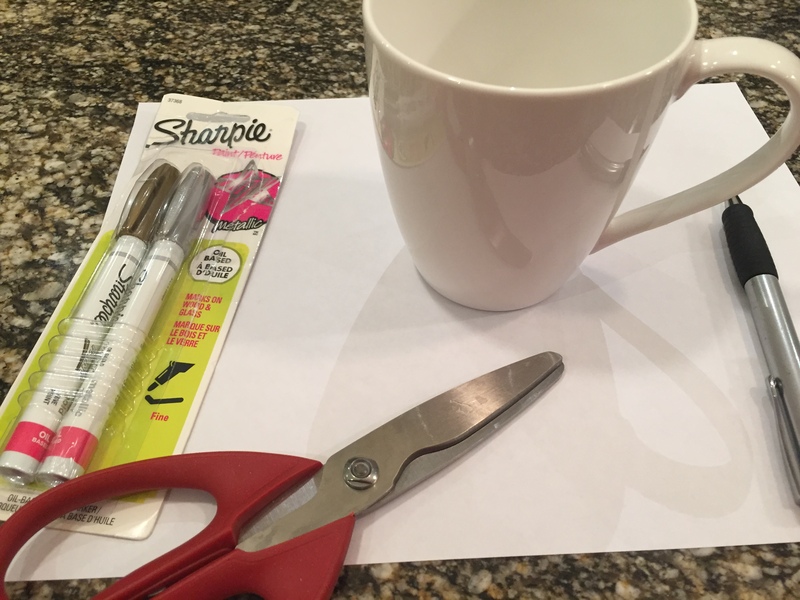 First, you will want to make a heart stencil out of paper that matches the size of your mug. Next, you can start tracing the gold dots around your stencil. The dots are denser closer to the stencil and began spreading them out more the further away I got. 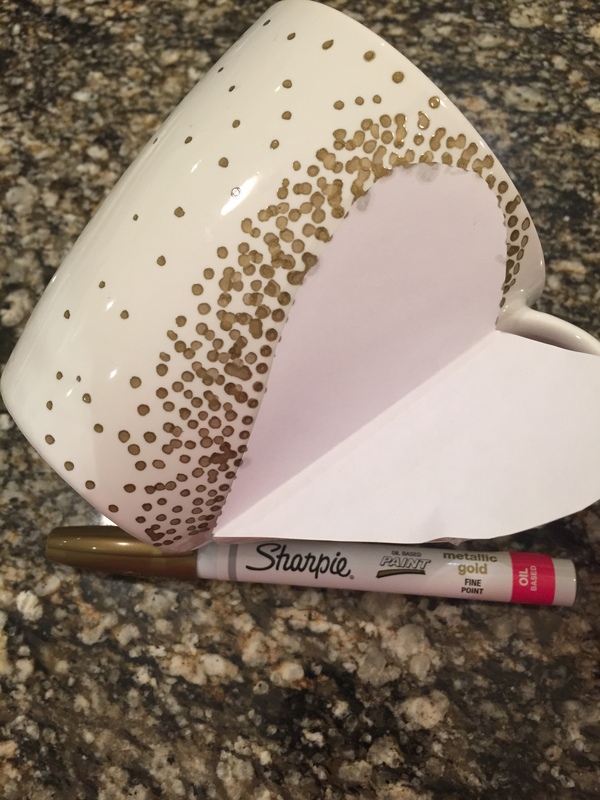 Next, remove your stencil and begin to cover the handle in gold dots. I was pretty sporadic with how I did these. 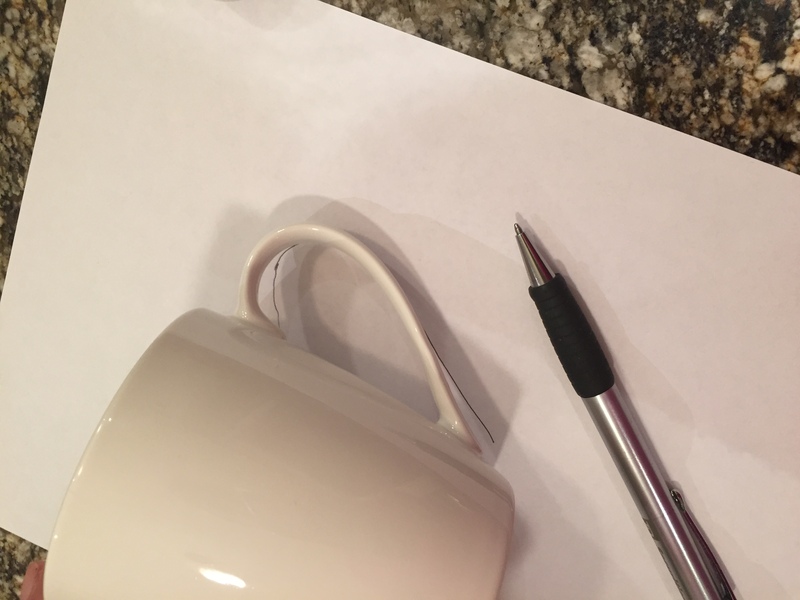 If you do happen to make a mistake you can simply take some water and mild soap and erase what you would like to correct. This is easier to do while the marker is still wet so catch it early if you can! For my mug and catch-all dish this came in handy, I think I re-did these ones each three times before I got it exactly how I wanted it! Here’s the finished product! I absolutely LOVE how this turned out. 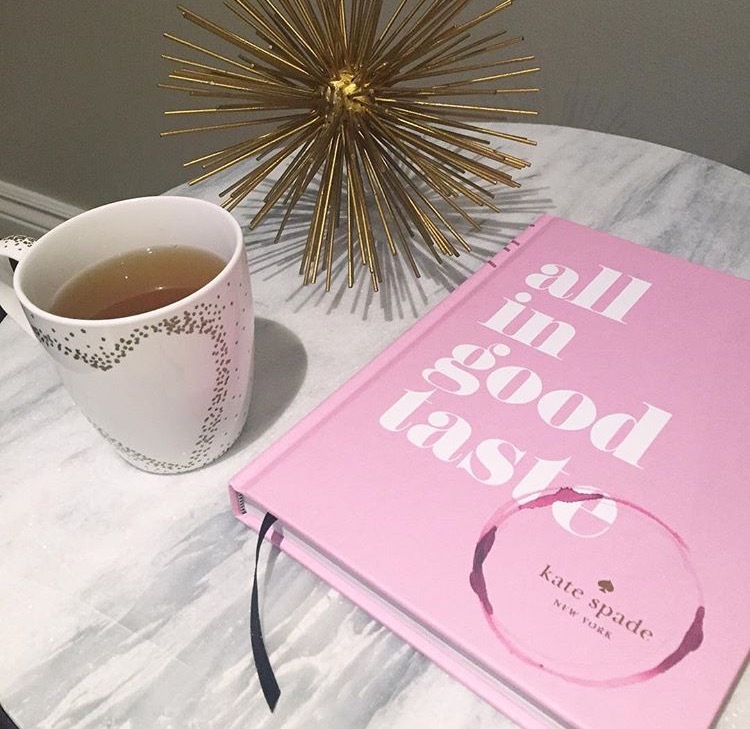 I really like the gold dot design, it just screams Kate Spade to me! This design was a little more free-hand. I pretty much just found an image I liked and went with that. I used a piece of tape straight across so that the eyelashes were at the same level and length. 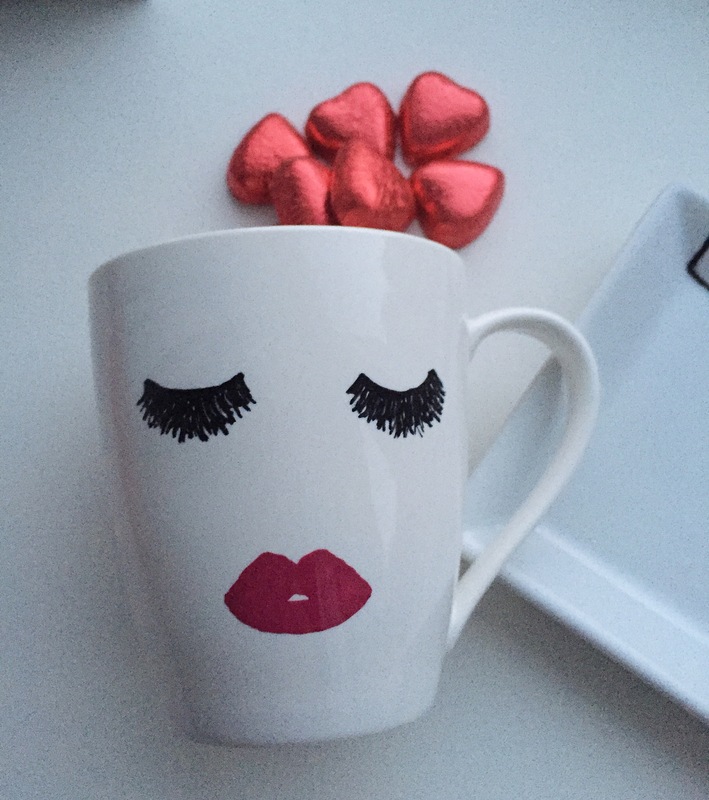 I used a black Sharpie for the eyelashes and just free-handed the lashes and used a red Sharpie for the lips, also free-handing. 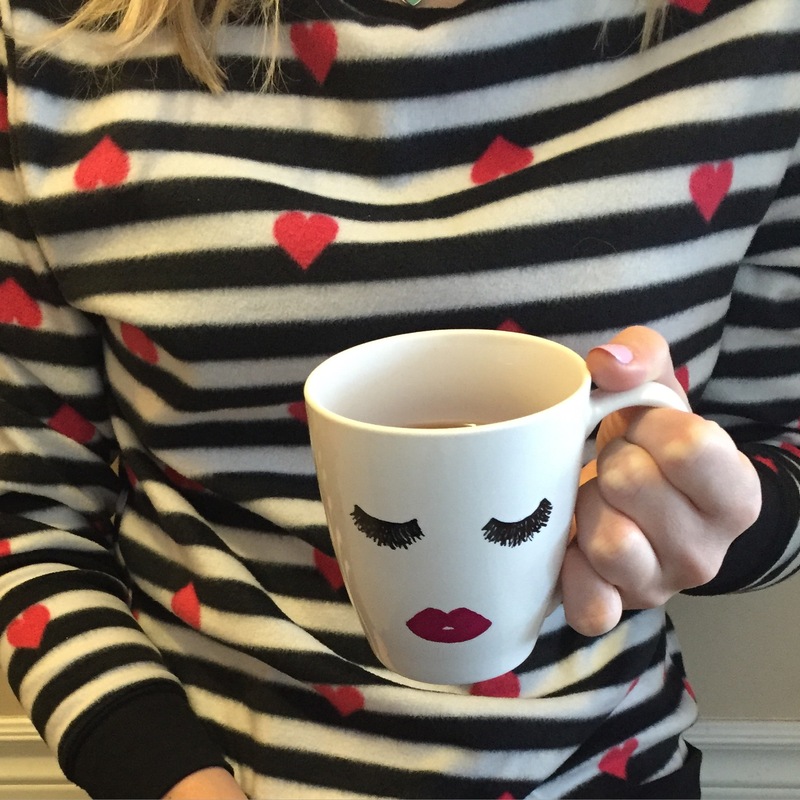 Just when I thought the gold heart mug was my favourite, I see the end product of this one and now I can’t decide! I just love catch-all dishes, so when I found this dish at Dollarama for $3.00 I knew exactly what I would do with it! 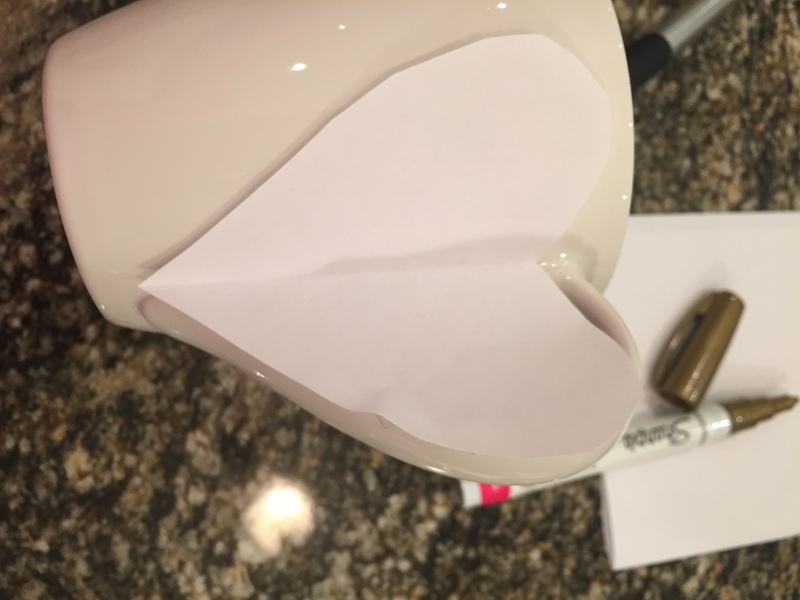 Using a couple pieces of Scotch tape helped me make the sharp straight lines that I filled in with a black Sharpie and finished off with a free-handed small red heart. 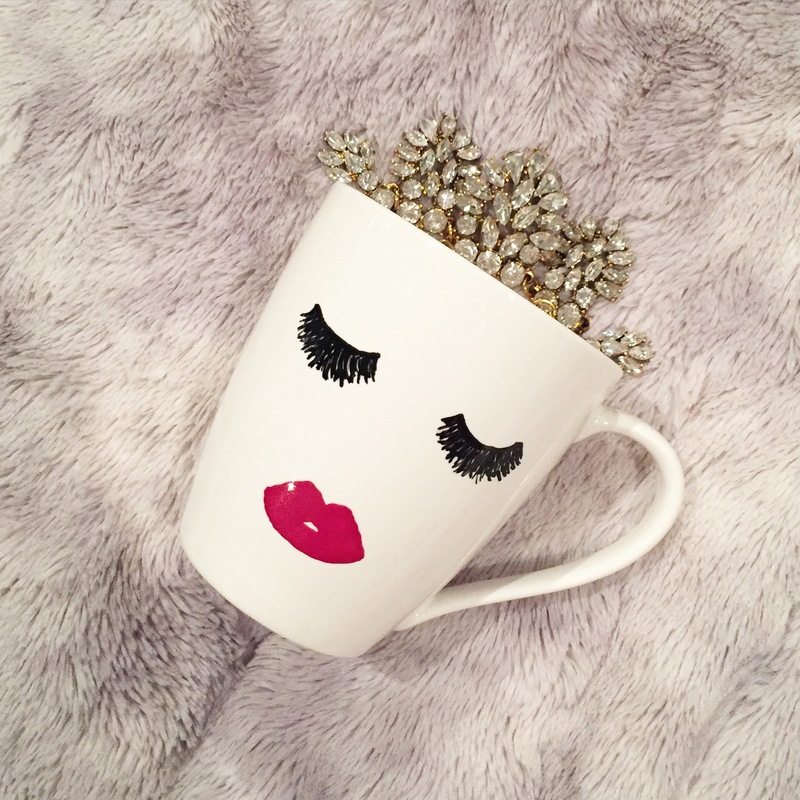 Enjoy your DIY mugs and catch-all dishes!